This award is open to any clinic group with more than 3 clinics but less than 10 in the UK and Ireland. The group will be judged as a whole on commitment to excellence in customer service, patient care and patient safety and evidence of good feedback from customers/patients. There will be no voting process and the winner will be decided by the judging panel. 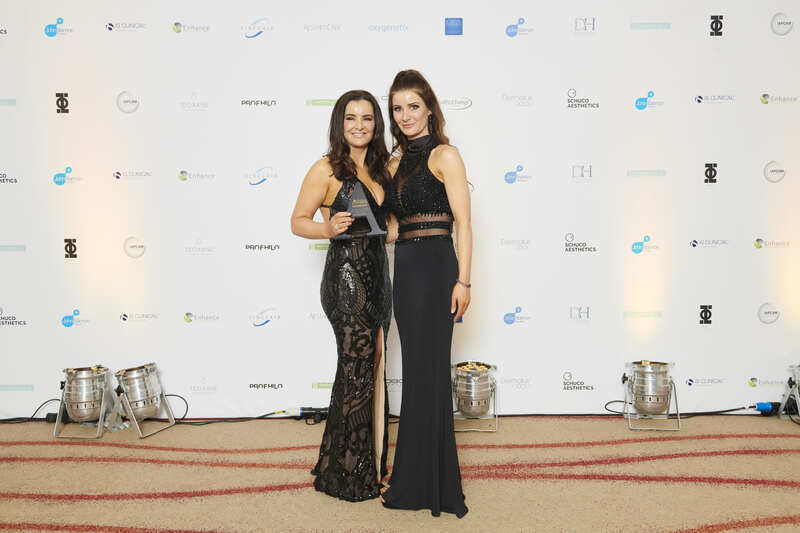 Setting gold standards in clinical excellence since 2004, The Laser and Skin Clinic is a state-of-the-art award-winning group of cosmetic clinics with locations in Dublin, Mullingar and Athlone. Recognised as one of Ireland’s most reputable and innovative aesthetic skin clinic groups The Laser and Skin Clinic truly sets the bar for the next generation of advanced skin clinics that offer the most advanced, safe and highly effective non-surgical treatments, alongside a five-star service. With a database of 25,000 clients, The Laser and Skin Clinic ethos is based on providing the best possible care, in the safest environment while delivering superior results. Being the only clinic in ROI to hold SaveFace Accreditation, the group are continually working towards creating a safer environment for their clients. In 2009, multi-award-winning consultant plastic surgeon Taimur Shoaib, launched La Belle Forme in Glasgow. As a fully accredited plastic surgeon on the GMC’s specialist register and member of ISAPS, UKAAPS and BAPRAS, Mr Shoaib is known for both cosmetic and reconstructive surgery as well as a non-surgical practitioner and teacher. In 2015/6, the group expanded through the acquisition of a further three clinics; Brentwood; Sevenoaks and an additional clinic in Glasgow Newton Mearns. Across the four clinics, we are committed to two key principles that underpin everything we do – innovation and quality. Our highly-trained team of cosmetic surgeons, doctors, nurses and aestheticians operate under the direction and guidance of Mr Shoaib to ensure a consistent approach to quality across the group. From the latest aesthetic treatments to the most complex surgical procedures, the four clinics continue to develop their exceptional surgical and non-surgical expertise to ensure we are always at the forefront of innovation and our contemporary clinic environments reflect this. With over 25,000 patients with an average of 1,000 treated per month, patient satisfaction is core to everything we do. We strive to ensure our patients receive the highest level of customer service throughout their journey with us. From initial enquiry through to continued aftercare, our team work hard to make sure patients feel relaxed and reassured in their decision to choose us to help them achieve their goals through correct treatment suited to their specific needs. Premier Laser Clinic was established in 2008, with our flagship clinic in Notting Hill Gate. Using the latest in laser technology, the clinic specialised in Laser and Tattoo Removal for all skin types, men and women. The clinic combined reasonable prices with impeccable standards In care, becoming very popular very quickly. Over the next 10 years the clinic chain quickly expanded, opening in Clapham Common, Aldgate, Kingston, Fulham, Soho and most recently Liverpool Street. Premier Laser & Skin then joined forces with established medispa reflection Body and Soul to create reflect Medispa, bringing the latest in skincare and laser technology to Virginia Water. In 2014 Premier Laser upgraded into advanced skin rejuvenation, offering the latest in skin treatment techniques performed by highly skilled practitioners, and rebranded to Premier Laser & Skin to reflect this development into specialist skincare. Now in 2018 Premier Laser & Skin has has added many new treatment techniques to its service offering including advanced body contouring devices such as Ultraformer HIFU Skin Tightening, Cryotherapy Fat Freezing and Lipotripsy, with Dermaplaning and Plasma Pen launching very soon. All clinics offer the best solutions available on the market including Dermapen Microneedling, the Mesoestetics Cosmelan Depigmentation Formulation, Juvederm Dermal Fillers and Anti-Wrinkle Injections to join the Carbon Spectra Peel, HydraFacial Revlite Laser treatments already available across the region. We are celebrating our 10 year anniversary this year, and are very proud to have reached such an amazing milestone as a business. We have over 47,500 clients and have performed over 320,000 successful treatments. The Consultant Clinic started from humble beginnings in 2013. In 2015 the clinic expanded rapidly, owing to the growing demand for natural results using non-surgical techniques. Today, we are proud to host multiple clinics from 8 high-end venues in Greater Manchester, Birmingham, Dublin, London, Liverpool, Dubai and Los Angeles - seeing approximately 15,000 patients per year. Plans are in motion to expand further by 2019 to commence clinics in at least 2 other American States and Australia. VIVA Skin Clinics is a Doctor-led aesthetics clinic that was established in 2004. It comprises of three premises based within the English capital (Harley Street, Old Street and Putney) along with a fourth in Dorset. VIVA have also just acquired a new premises which will act as their official HQ on Kings Road, Chelsea, London which is set to open in August 2018. VIVA specialise in offering only the safest and most effective non-surgical procedures on the market - producing natural results whilst significantly improving the skin and slowing the raging process down. The ethos at VIVA is to offer people the best advanced non-surgical cosmetic treatments in a safe and secure environment, where patients can trust that they’ll achieve great results at a reasonable price. Treatments are only ever administered by doctors who are highly trained and experienced in cosmetics, which means every client can have complete peace of mind that they’re in safe and reputable hands. VIVA Skin Clinics has treated over 5,720 patients with a client retention rate of 82%. The treatment menu includes a wide array of some of the most advanced non-surgical treatments available. It comprises of over twenty different treatment options, all specifically tailored to the individual, which include non-surgical rhinoplasty, tear through fillers, anti-wrinkle injections, chemical peels and Clinical Director, Dr Rupert Critchley’s, highly anticipated new treatment: The 3D Facelift – providing a non-invasive and cost effective alternative to a surgical face-lift.